Living in Northern Ohio has certainly been an interesting experience. Coming from Southern Ohio originally, we rarely got the amount of snow I’ve seen in my few years up in Akron. This year has been different though, since El Nino has decided to grace us with an extremely mild winter. While we may still have several inches of snow, it’s better than the several feet that was dumped on us last year. There’s always that week towards the end of January where we all become optimistic that maybe winter skipped up this year…unfortunately, Old Man Winter showed up this past week. 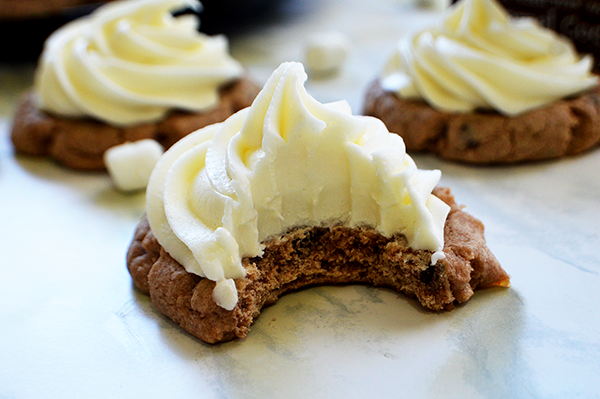 No worries from me - I’ll be armed with with recipe for hot cocoa cookies! Any kind of hot cocoa mix will do. I just happened to have a caramel cocoa mix on hand, but I have seen success with other powdered hot cocoa mixes such as Swiss Miss. I also made the frosting using marshmallow fluff, because we all know that the marshmallows are definitely the best part of a warm cup of cocoa. 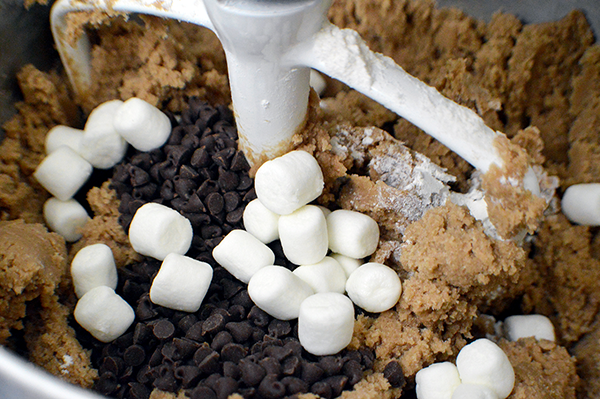 I experimented with adding regular mini marshmallows into the cookie dough with half of the batch, but they mostly just dissolved into the dough, so real marshmallows are totally optional in this recipe. 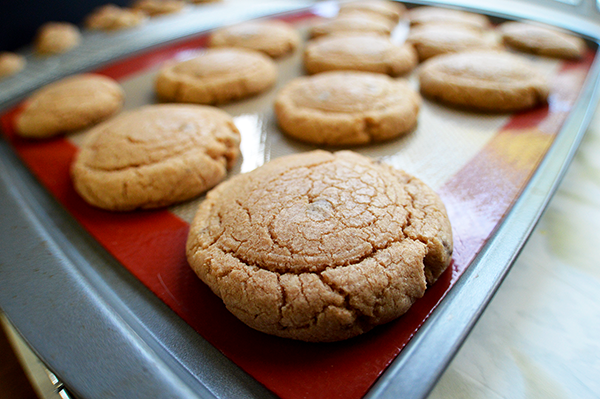 As with most cookie recipes, start by creaming together the sugars, butter, and eggs until a smooth batter forms. Then add the cocoa powder to make a dark mix before adding in the flour, salt, and baking soda. I opted to add mini marshmallows and chocolate chips to my dough, but did make a second batch without. 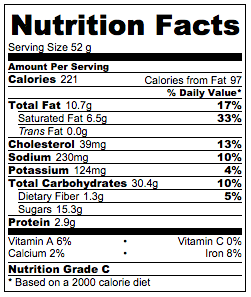 Either way the cookies ended up totally delicious. 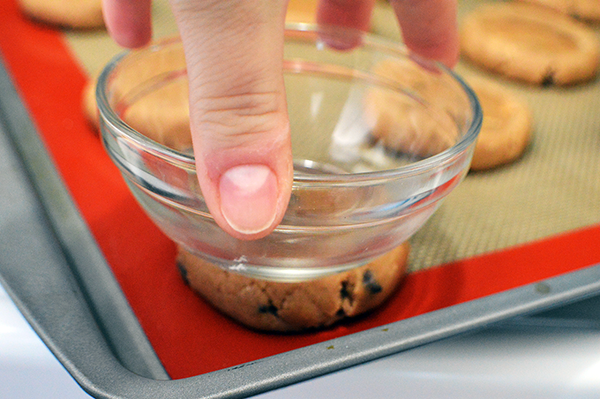 Flatten the cookie balls to be about a half inch thick with the bottom of a glass or similar flat bottomed pan or cup. I just happened to use a custard cup on mine. While the cookies are cooling, melt the butter and stir into the fluff. Slowly add the powdered sugar until a thick frosting forms. If the frosting gets too thick, use some heavy cream to thin it out. Go for a consistency just thicker than toothpaste that stands up on its own when you remove the spoon. It should form nice, thick peaks. 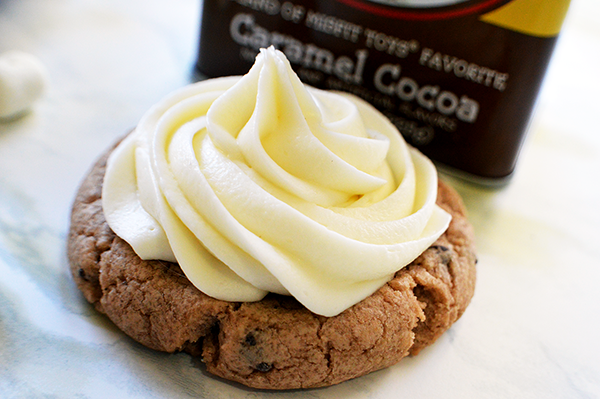 Use a spoon or piping bag to spread the frosting on the tops of the cooled cookies. Serve with a real cup of hot cocoa on a cold day - if we ever have one! Preheat the oven to 350°F. 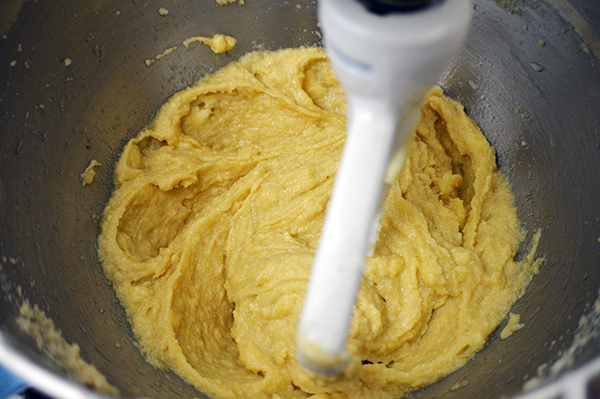 In the bowl of a stand mixer, beat together the sugars, butter, and eggs until smooth. 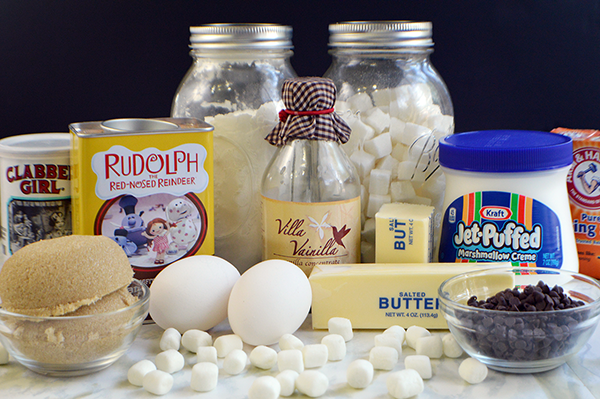 In a separate bowl, stir together the flour, salt, baking soda and powder, and the hot cocoa mix. 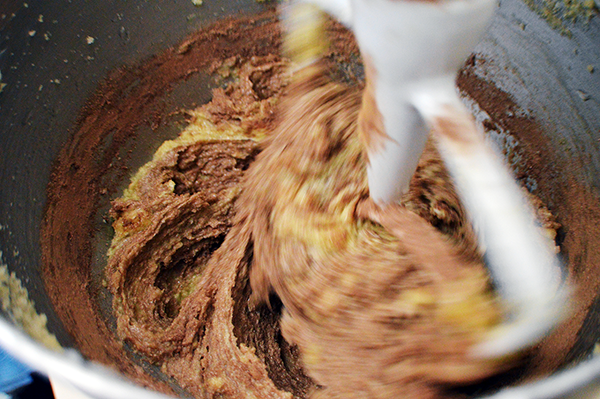 Slowly add the dry ingredients to the bowl on the stand mixer, about ½ cup at a time, until a thick dough has formed. Add the mini marshmallows and stir until combined. The cookie dough shouldn’t be very sticky. Roll the dough into one inch round circles, arrange on a baking sheet lined with parchment, then use the bottom of a glass to flatten the dough to about ¼ to ½ inch thick. 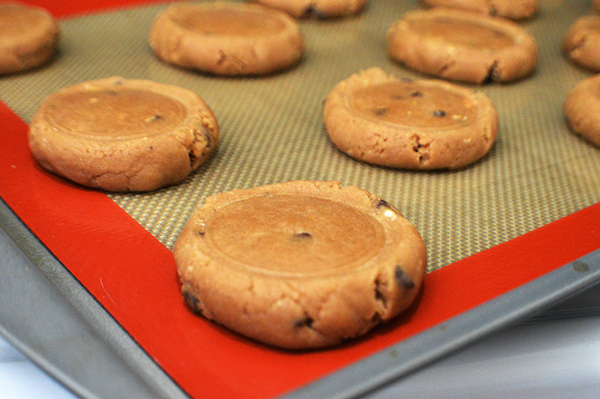 Bake the cookies for 8-10 minutes or until the cookies have started to crack across the top. Let the cookies cool completely. 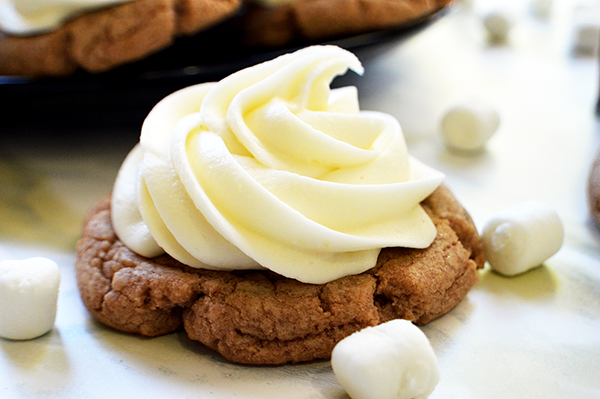 While the cookies cool, use a hand mixer to whip together the marshmallow fluff, vanilla, and confectioners sugar. Add heavy cream if the frosting is too dry, and more confectioners sugar if it’s too thin. Go for a toothpaste-like consistency. 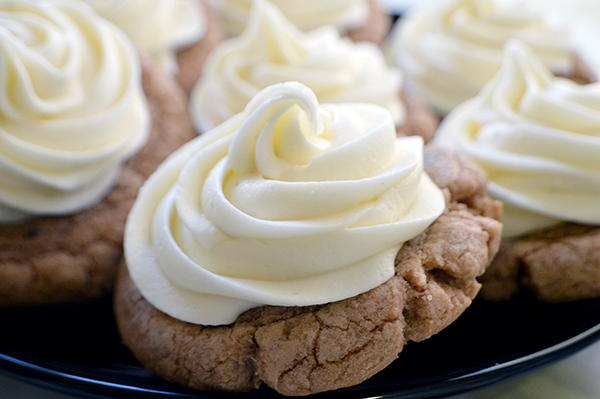 Pipe or spread the tops of the cooled cookies with the marshmallow frosting. Serve on a cold day and enjoy. but I'm never actually hungry! © 2019 The Starving Chef. All Rights Reserved. *The Starving Chef is a participant in the Amazon Services LLC Associates Program. Read Disclosure & Policies.